Blogging after real long since august has been my vacation month! Yes I had 2 breaks. Woo hoo! a short one with the besties and hubby at Pondicherry and next we were off to Ladakh! My dream vacation that we had been planning over 4 years! So Nikita from Infinite Emotions invited me to this 'Getting to know me' blog hop. She has shared her answers on her blog here. Please do visit her awesome Blog! 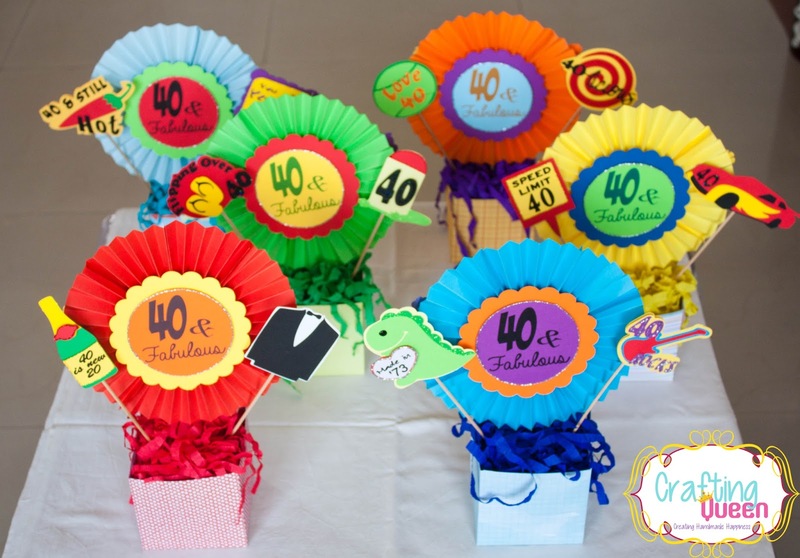 This Blog Hop asks me 4 questions. Now am totally out of writing so I will try my best to be as clear as I can. Like many of you know I share my creative work here on this Blog along with some pics on my Fb Page. 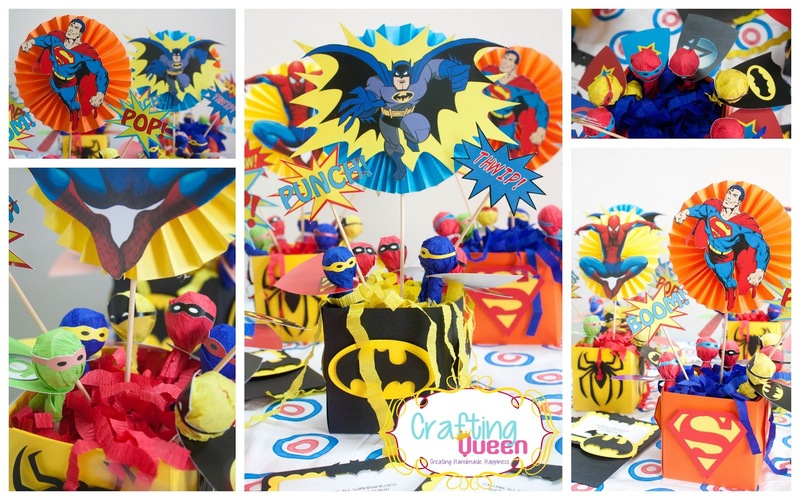 I have just completed a full-fledged customized birthday theme party decor last sunday. And I have to get back on a very very very tiring detailed Baby Boy book that's lying half undone. You will know what i mean when i finally get to share it. Its a 16 page large format Scrapbook that I need to close within next 7-10 days! Boy am scared of deadlines now! My website actually takes away a lot of my time and effort to ensure we deliver the best quality craft supplies and keeping the crafty world super happy! I am making my long term plans to expand my business and hoping to see that day come soon. 2. How does my craft work differ from others of the same genre? Am not sure how I can classify my work as it really doesn't fit well in any genre in particular. But I will try and explain what I do. 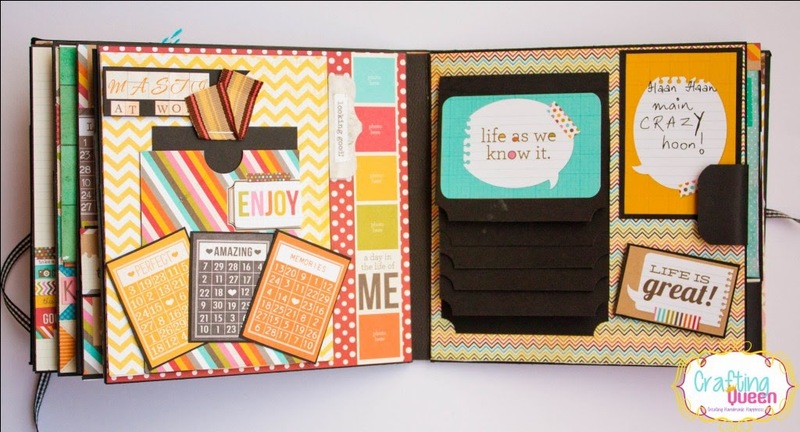 I love working with paper pads in general and enjoy making Memory books and Scrapbooks the most. I prefer happy prints and am not much inclined towards florals. I follow my own creative lead when making Scrapbook pages and try to be as detailed as possible. 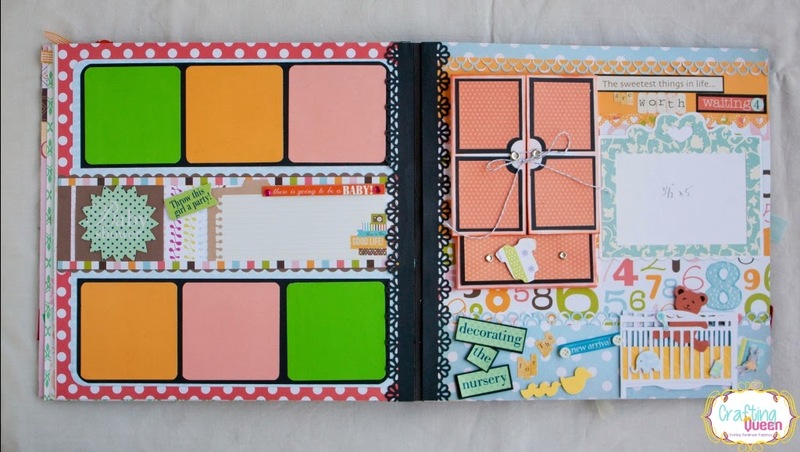 I enjoy making interactive Scrapbooks with hidden journaling or tags or even pics! Maybe I am Scrapbooker per say! My Second favourite thing to work on is theme party decor! It's something that allows me to come up with some fun ways to make parties full of life! 3. Why do I write/create? Like I said am not much of a writer anymore. There was a time I loved to write poems and essays and even blogged in general but off late with so much to do already writing really has taken back seat and I miss it at times. Recently along with my husband a new chapter began in writing. We call it Name Place Animal Thing. With this blog we expect to share our passion for what we love. Its about things we enjoy doing, places we loved travelling to, food that makes our tummy grumble and of course, our pets! I Create because that's what I was meant to do. I have spent my entire childhood imagining to be a creative person. I lost it somewhere as I grew up in a rush to be something the society made me feel more apt about. After being 6 years in a corporate 9-5 job and crafting as a hobby, I took a very difficult decision to give up the comfortable salary and slog day and night to be financially independent as a paper craft artist and entrepreneur. Though its still a struggle I love what I do as the appreciations and smiles received for the work done gives me a real high! I wish I could boast about how organized I am but I cant. I am a multi-tasker and more than often am doing 2-3 things in a go. However, I have also taken up maintaining an organizer to take down notes when receiving a custom order from a client. I am very finicky when it comes to perfection. And i expect to know the details to a level that will ensure I am able to deliver close to the clients expectation. So ask several questions, take notes, take a day to plan the creative dashboard and then while working i change the route several times as theory never matches the practicals! Sometimes, am inspired by the beautiful work i see on pinterest from other crafters and several times I try to do something new so that i am not bored myself! I do love experimenting with craft supplies and do things that make my work stand out as unique and memorable. 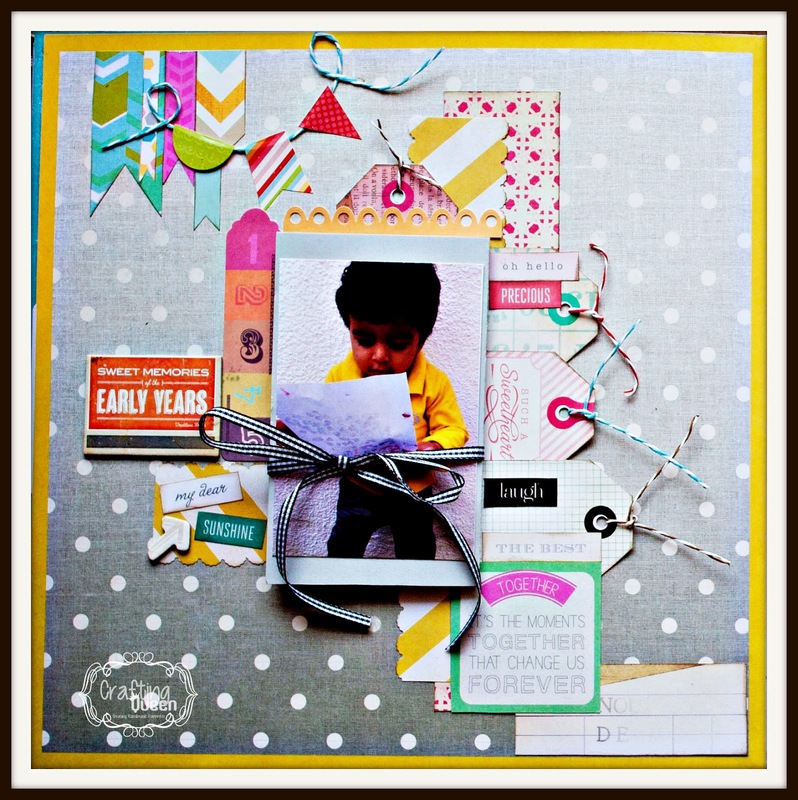 I got to Kripa through her beautiful entries as a regular participant at Lulupu.com Blog. I followed her work and enjoyed seeing her creation and soon I realized she would be a wonder design team member. Kripa was very excited and supportive to be on the team even though she puts up in the aussie land. But the distance didnt make a difference thanks to the www! I have got to know Kripa over the last few months as a warm, helpful and very humble person. 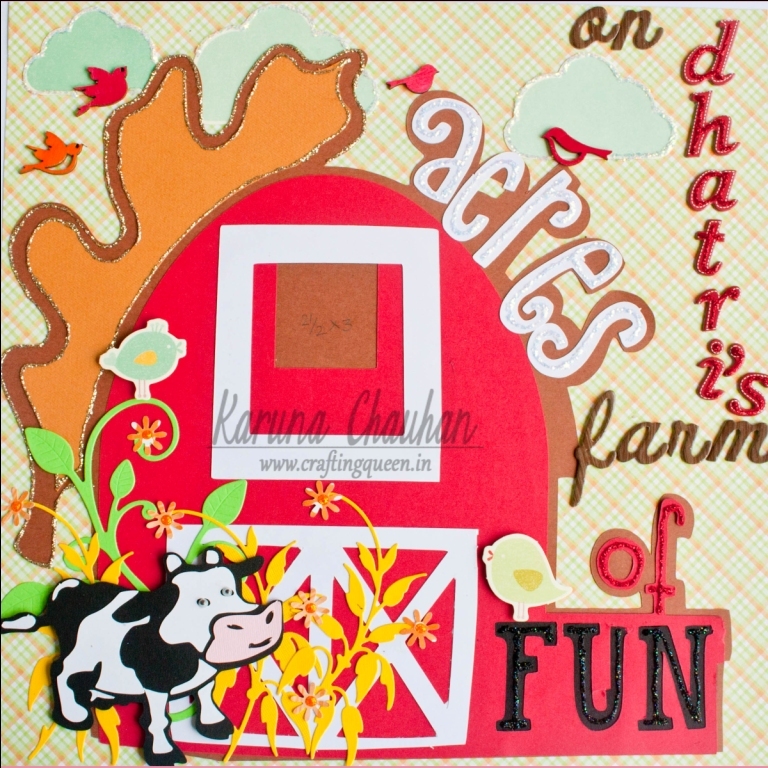 She is multi talented and I just adore her mixed media work and layouts. do come back on 1st September to see a direct link to her post! Yayyy!! You did this!! I am sooo glad!! It was lovely to read more about you Karuna. I too had no idea that you wrote. It is a very bold step to give up an established 9-5 job to become an entrepreneur, but with your passion and dedication I know you'll shape Lulupu the way you picture it. Hugs.